Spring Fever and....Goats? Yes!!! - Project: THRIVE! 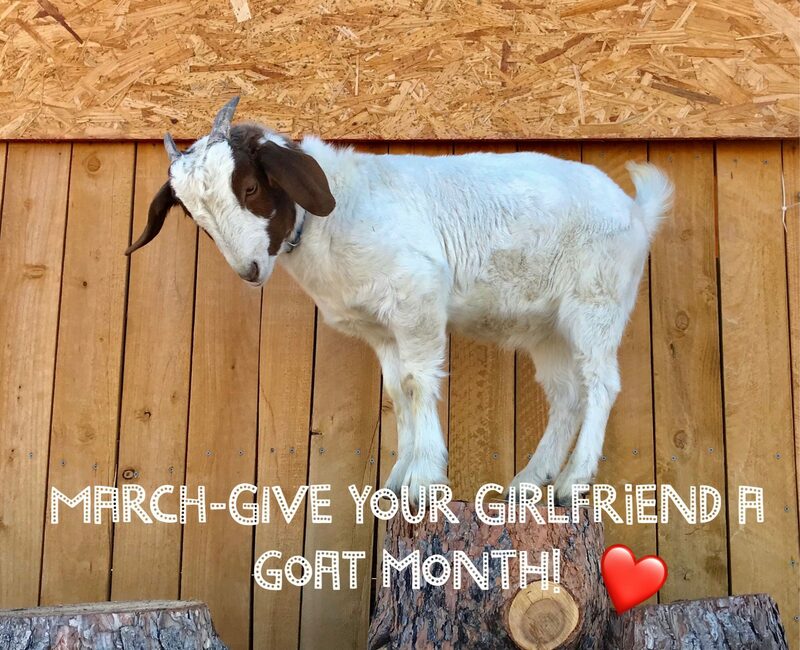 We bet you didn’t know that March is Give Your Girlfriend A Goat Month! It sure is, and if you don’t have the space to actually welcome a goat into your home, we have the perfect solution! We have several goat friends to choose from and once you sponsor one of them for your beloved, we will send pictures and occasional updates on your new virtual family member! Nothing says I love you like one of these cuties in your inbox! Not only will you score MAJOR brownie points, you will also be helping a great cause. Proceeds will go towards the care and upkeep of our sweet goat residents to keep them happy and bouncing around the barn at maximum capacity. Just go HERE to sponsor today! 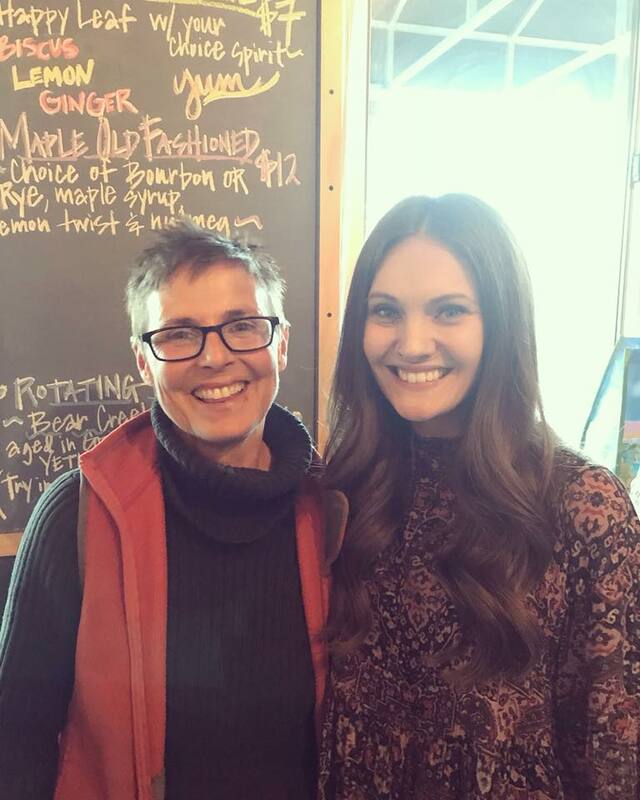 Another great big shout out to Eden (Volunteer Extraordinaire) and Jay (Owner of Berkeley Untapped) for setting up and executing the hugely successful and fun Happy Hour recently held at Berkeley Untapped in support of Project: Thrive. We can not thank everyone involved enough for extending so much kindness and generosity towards us. We are so grateful. We don’t want to rush through Spring (because let’s face it, I think we all have a little bit of spring fever, am I right?) but Summer is right around the corner and that means lots of fun activities here at the barn. We are excited to roll out Family Day beginning in June! Once a month we will have a relaxing day when the entire family can come out and meet, groom, and interact with the animals! It is sure to be a great experience for everyone. You can start to get excited now, but stay tuned for more specific details and dates to come. We are really looking forward to this one! But wait, there is more! We will also be holding children’s classes this summer that will include nature art, yoga (animal poses), learning about the human animal bond, learning about compassionate animal care, and how to develop meaningful relationships with the individual animals. Kind of makes you want to be a kid again, doesn’t it? Details to follow as we get closer to summer. You didn’t think we were done yet, did you? Ladies, get ready because we are planning to hold a day retreat for women! 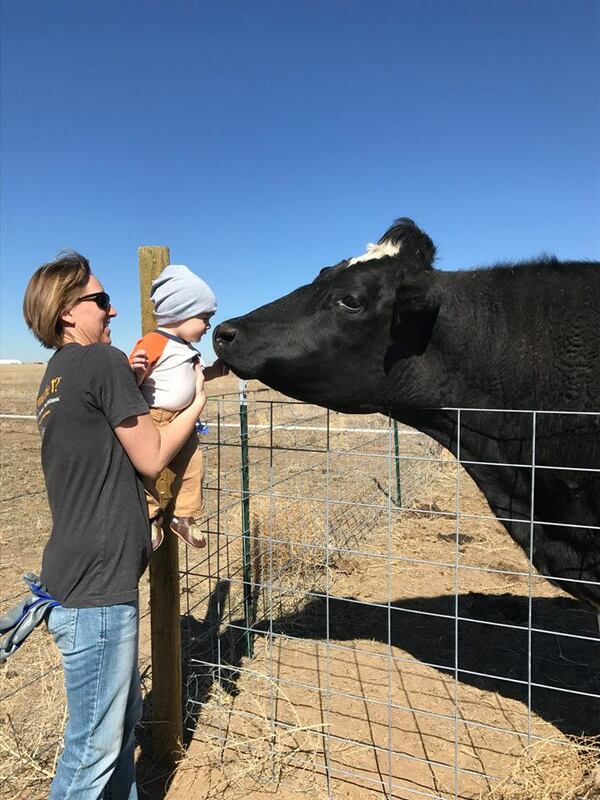 Bodhi insisted on being a part of this one because he LOVES his fans and he may try to be the center of attention, but that is OK. It’s hard to say no to cow cuddles. Included will be the exploration of spirit animals, meditation, outdoor yoga (the goats favorite! ), a labyrinth, nature awareness, and communication with the animals. Date and time to follow, but be sure to block this one off for a day to celebrate YOU, and relax among wonderful company with the opportunity to make some new friends. As a reminder, there are so many ways to get involved with Project: Thrive and become a part of the fun: SHARE our story with your friends and invite them to join us on this wonderful journey (we are on Facebook AND Instagram! 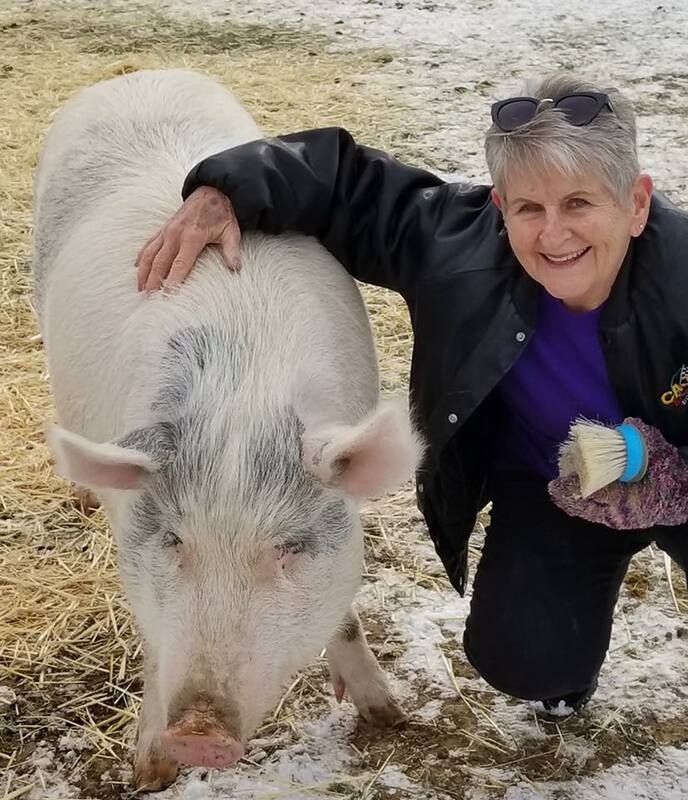 ), DONATE to Project: Thrive or SPONSOR one of the animals that you feel a connection with, and/or VOLUNTEER with us. We would love to have you become part of the family!